Print-quality images have a lot more detail than web-quality images. A 300 by 300 pixel image may add fine visual interest to an email or website, but print requires at least 300 dpi (dots per inch) – meaning that if you try to use that same image file, you can’t print it any larger than one square inch before it starts looking grainy. Photograph and design for print, rather than trying to adapt web images for the mail. When you design a postcard graphic, understand the dimensions and bleed area of the postcard. You should design your image to spill over the edges of the postcard dimensions, but keep your effective marketing content out of that area: that way, minor variances in print alignment don’t leave you with white space, or cut valuable information. Odds are, your company branding already incorporates some color psychology: green for ecological or financial corporations, blue for technology, and red for excitement or passion are some well-known examples. Working with your logo, develop a color palette for your postcard to evoke the right emotions from your audience. If you don’t have a dedicated graphic designer on staff, consider working with an outside professional. The difference between an expertly designed ad and one thrown together by someone who’s never studied design is remarkable – and you’ll see it in you response rates. And make sure to use a postcard printer who delivers consistently high-quality results. 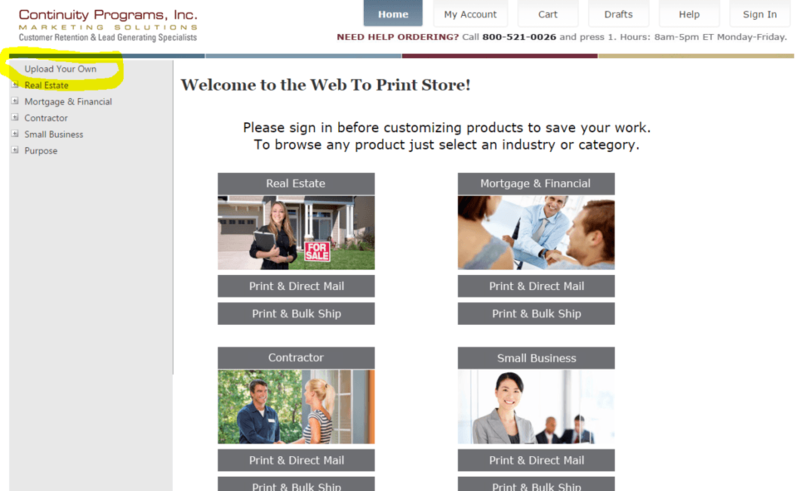 Whether you’re sending an announcement to your clients or employees, having a sale, or recruiting, you can now upload your own designs through our Web-To-Print store. We’ll print and mail it out to a list you upload, with fast turnaround! Use these postcard design tips to make your next mailing campaign a masterpiece. Thank you for the tips for designing your own postcards and uploading for print. I definitely think using experts to help you design the postcard and print it right the first time would be a huge time saver and cost-efficient solution. You could have it done the first time and not have to spend money figuring it out.